I don’t usually click on ads that show up at the top of my gmail account, but today I couldn’t resist. 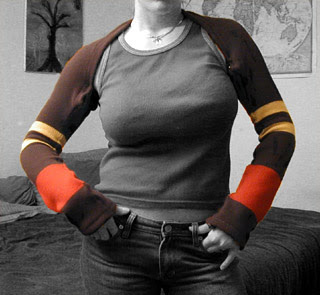 The ad was for slarf.com, 2-in-1 Arm-warmer/Scarf site! A stylish and efficient accessory. OK, I will bite. A slarf is actually quite cute and something I have been meaning to knit for myself. I like the idea of thumb holes. Previous Post Oh! Come! On!